FAIRFIELD — The American Red Cross reports that its blood supply is still recovering from severe winter storms in March. Red Cross representatives are urging people to get out and donate blood. Winter weather in parts of the country forced more than 270 blood drives to cancel, resulting in over 9,500 uncollected blood and platelet donations in the first two weeks of March. In Connecticut, 39 blood drives were canceled due to winter weather in March, causing 1,287 donations to go uncollected. No matter the weather, the need for blood to help cancer patients, those undergoing surgeries, trauma patients and others remains. 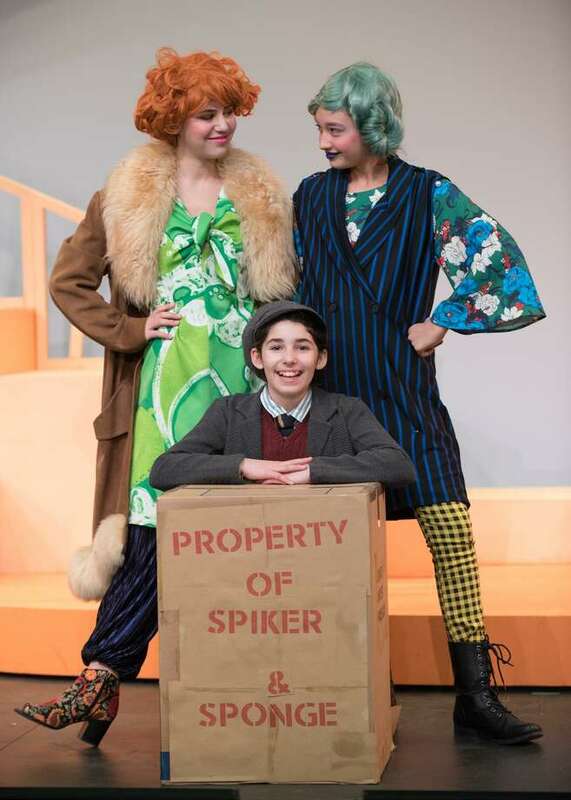 WESTPORT — Coleytown Company’s newest production, “James and the Giant Peach,” opens Friday at 7 p.m. and runs through the weekend with additional performances Saturday at 1 p.m. and 7 p.m. and Sunday at 1 p.m. Tickets are available at www.showtix4u.com or at the door. WESTPORT — Aquarion Water Company today announced a water main installation project beginning at the intersection of Main Street and Myrtle Avenue in Westport. The installation will progress southerly along Myrtle Avenue to the Post Road. Scheduled to begin April 2, the work is expected to be completed by the end of July 2018. The project will install approximately 2,000 feet of new 16 inch water main and will greatly improve water distribution capacity. During the project, customers in the area may experience temporary service disruptions or discolored water. Customers should refrain from washing laundry if water is discolored. Prior to resuming use, customers should run their cold water faucets until the water appears clear. Work along Myrtle Avenue will take place during the hours of 7 a.m. to 7 p.m. and will require rolling road closures. Residents can find the latest construction information at www.aquarionwater.com under the “Alerts and Outages” section on the homepage. True Blue Construction of Wallingford, CT was chosen as the contractor for this water main installation project. Customers with project-related questions may contact Kevin Lott, Aquarion’s Manager of Utility Programs, at (203) 337-5906. For service or water-related issues, please contact Aquarion’s Customer Service Center at 1-800-732-9678.